Each speaker shares from their perspective: What CA was like, What happened and What CA is like today…from 25 years past to the present! The Walter Hagen Classic is a SOCA Convention Fundraising Event; Since 2009 our area convention has been free to all who attend; PLEASE HELP KEEP OUR CONVENTION FREE by supporting this event. THANK YOU! Poker Bracelet: Gold tone stainless steel with dark faceplate with 156 embedded crystals and an adjustable stainless steel band. With over 150 crystals and an adjustable stainless steel band, nothing can compare to the best of the best in poker bracelets! 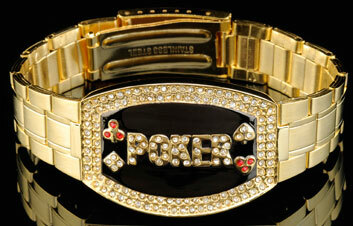 The bling of our dual crystal recessed border is unmatched by any other poker bracelet! Vice Chair – Bill W.
Programming Chair – Cameron F.
Registration Chair – Julie G.
Greeter Chair – Jess R.